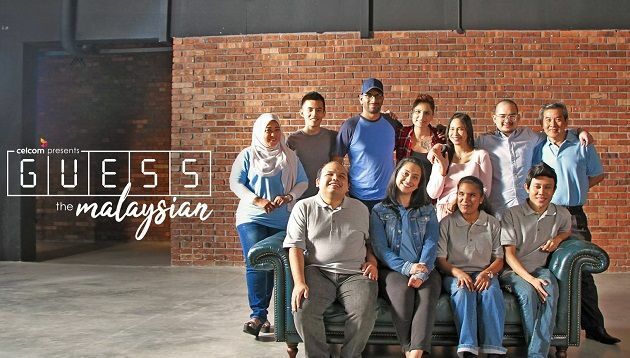 Celcom Axiata and M&C Saatchi have designed an unscripted and unstaged social experiment titled “Guess the Malaysian”, to champion racial integration, inclusiveness and diversity. Two teaser videos for the experiment were launched shortly after Celcom’s National Day film “Adik Beradik”. Thereafter, three rounds of video clues were rolled out on Facebook, encouraging users to guess and vote the identity of the specific Malaysian by judging their words, voice and attire. The full experiment video was launched on YouTube and Facebook, garnering 1,032,748 views and 554k views respectively at the time of writing. The experiment revolved around five candidates with personalities and characteristics that are in contrast to their real identities. The candidates told their stories from behind a curtain and waited to be “judged” by participating Malaysians. The participants comprise a group of three visually-impaired Malaysians and another group of three non-visually impaired Malaysians. In the video, the non-visually impaired group were quick to judge and more critical. According to Celcom, this behaviour emphasised that Malaysians do tend to be biased and form their opinions based on their own prejudice. Meanwhile, the visually-impaired group shared more non-judgmental opinions as this group had “seen” only the personalities of the candidates, rather than social status, education level, lifestyle or race. Celcom’s head, brand marketing Grace Chan, said consumers are conditioned to see things in a “worldly way” that they miss the opportunity to appreciate the uniqueness and values brought by friends from different races and religions. “It will be great if we could all rise above our judgements and be an advocate of diversity and unity. We’re blessed to live in Malaysia, a beautiful country admired for its racial tolerance thriving on the abundance of our personalities and beliefs. Celcom, a home-grown Malaysian brand, supports inclusiveness, racial integration and celebrates diversity. We hope our Hari Kebangsaan and Malaysia Day campaign encourages impartiality and inclusiveness in all of us, by celebrating all the differences that keep us together,” Chan added. “Digital Malaysia is a national agenda that aims to turn Malaysia into a developed digital economy that connects and empowers the .. In a statement to Marketing, STB said that it found that subscription boxes allowed the tourism board to push the essence of "Pass..